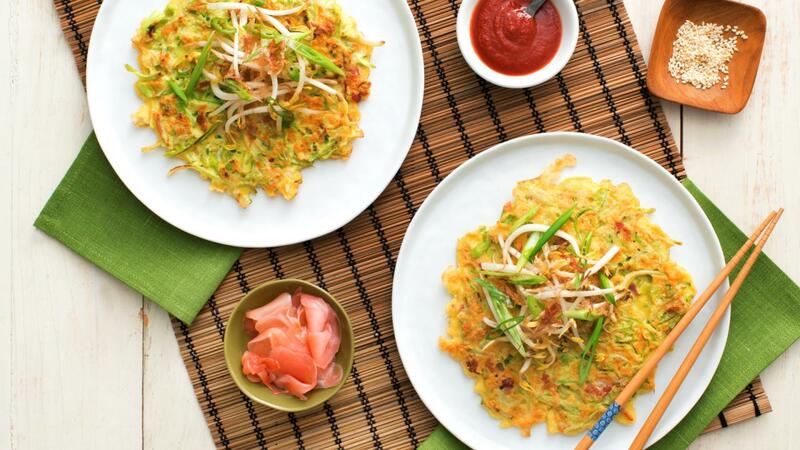 This easy Japanese-style savoury pancake is made with cabbage, green onions and bacon. Okonomiyaki translates to “grill as you like it,” so it’s versatile—you can fill it and top it with whatever you like. Stir flour with salt in large bowl. In another bowl, whisk stock with eggs; whisk into flour mixture. Fold in cabbage, onions and bacon. In large nonstick skillet, heat 1 tbsp (15 mL) of the oil over medium-high heat; pour 1/2 cup (125 mL) of the batter into the pan, gently pressing down with spatula to flatten. Cook for 3 to 4 minutes or until bottom is browned; flip over and cook for another 3 to 4 minutes. Repeat with remaining batter, adding more oil as necessary. Toppings: Serve with sprouts, green onion, bonito flakes, ginger, sesame seeds, soy sauce, Worcestershire sauce and hot sauce. 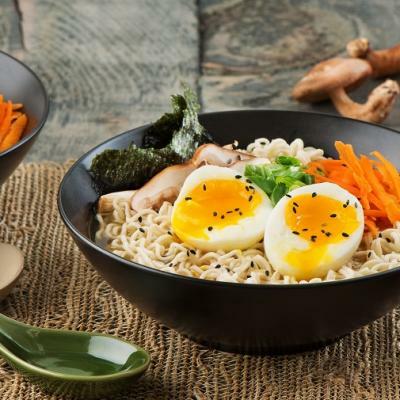 Tips: If you can find okonomiyaki sauce, serve as a topping, as well, it’s similar in flavour to Worcestershire sauce, so it makes a good substitute. 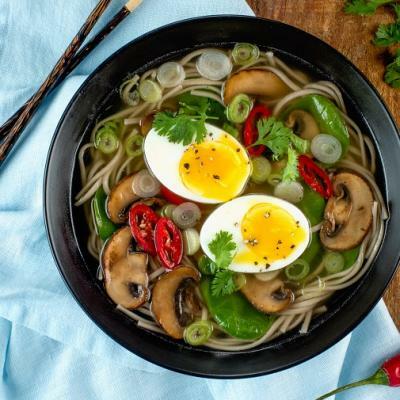 You can substitute the chicken broth with low-sodium chicken broth, if desired. Fresh recipes in your inbox every month! Sign up and receive fresh eggs.ca recipes every month to your inbox. 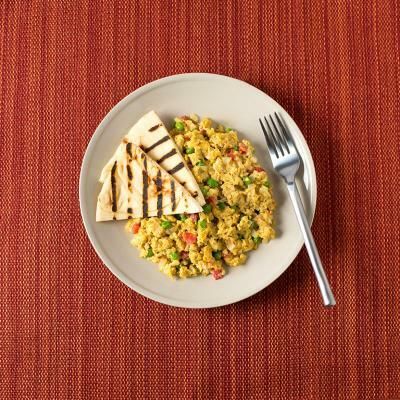 As a subscriber to eggs.ca, you may receive emails containing recipes, nutrition tips, contests, and promotions. You may unsubscribe at any time.